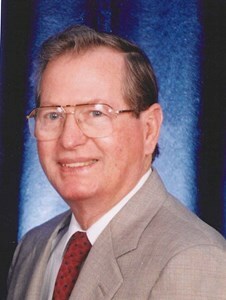 Wayne, 86, of Titusville, Florida passed away on Friday, November 2, 2018 at Parrish Medical Center. Born in Hollywood, FL he has lived in the Titusville area for 41 years. He retired from Florida Power Light Company. He had a beautiful voice and loved to sing in church and at church functions. He and his wife, Catalina, ministered together in nursing homes for countless years. He enjoyed going to church and spending time with friends. He loved being with his family, playing board games and watching old westerns. In earlier years he enjoyed traveling. He is survived by his wife, Catalina, of 43 years; children: Cynthia Thompson, Barry Grant, Christine Adams and Debbie Boyle, their spouses and 9 grandchildren and 6 great grandchildren. Add your memories to the guest book of Wayne Rogers. My deepest sympathies go out to the Rogers family. May you take comfort in our Heavenly Father who promises to give us strength and be a refuge for us in times of distress. I am very for your loss. I am praying for families peace and strength during this difficult time. I would like to share Psalm 34:18-He is near to those brokenhearted. Again my condolences. My heartfelt love and condolences to Wayne's family. I soo enjoyed worshipping with him at church and other ministry meetings. He had such a heart for the Lord Jesus!!!! My heart is grieving with yours and I'm praying you feel the Lord's loving presence wrap around you and yours.